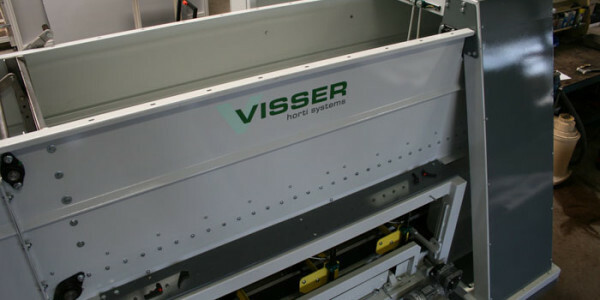 The Versa Filler is the newest filler in the Visser line of horticultural products. 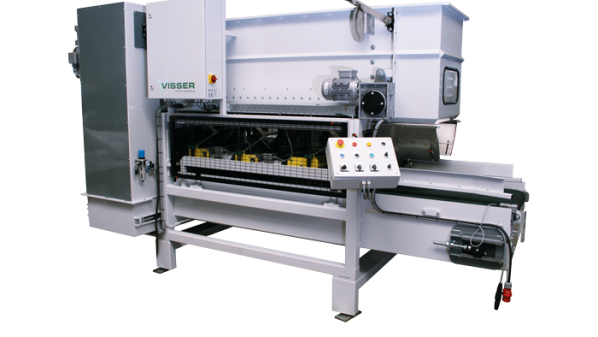 With clearance of 400 mm high and 600 mm wide, it is capable of filling any carrier, such as packs, pots in trays, or hanging baskets. 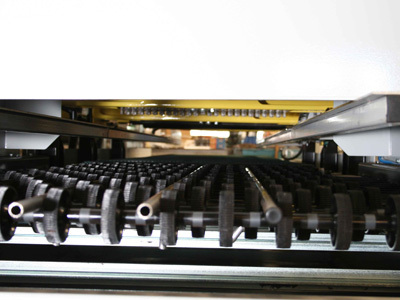 Due to the possibility of filling long-side leading, the capacity increases noticeable. 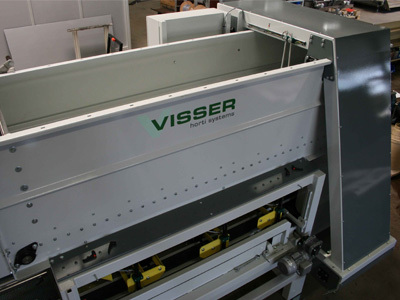 Featuring a 1200 liter capacity hopper over the transport conveyor to save space and make it convenient for overhead feed systems. Adjustable internal components will give you the fill you require: a V-plough spreads the soil evenly, a compression roller helps push the soil in, a driven drum aids in compaction and gives an initial cleaning of excess soil. The spiral rotating brush pulls any additional excess soil from the center outwards before entering the cleaning cabin. 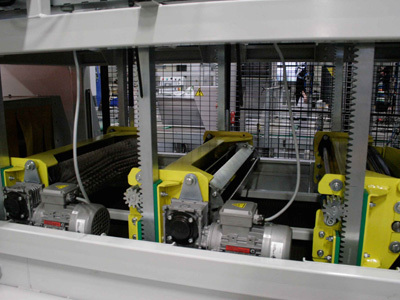 Capable of filling any carrier, such as packs, pots in trays, or hanging baskets. Why choose the Versa Filler? 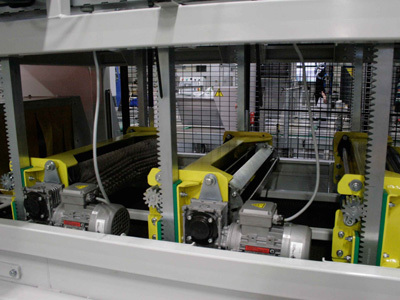 The cleaning cabin features a driven roller conveyor to allow excess soil to fall through to the soil return system plus a series of 10 adjustable air nozzles to provide the cleanest results. 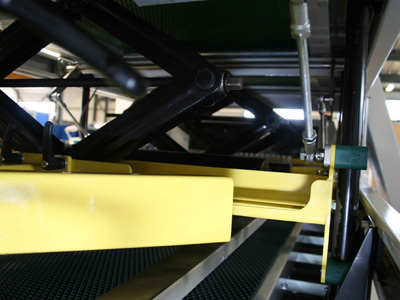 The soil is carried to the area under the open rollers which is the bottom of the soil return elevator. The soil return elevator returns all excess soil back to the hopper.